Each year Canadian insurers pay more than $20 billion for auto, home, and commercial claims. You are not alone in the auto insurance claims process. If you were recently in an auto accident, you might have several questions on how to get your car repaired. Accidents are stressful, and the claims process can also be stressful. This article will examine the auto insurance claims process and give you some tips on how to complete these process. After collecting all the information, you will get a call from your claims representative. He or she will be your contact moving forward with the claim. Your claims representative will go over all your policy details and explain your coverage. He or she will also let you know how to get your estimates to fix your vehicle. You will then need to get your car to a repair shop. Do not start any repairs until after the inspection by your claims rep.
You have the right to choose any repair shop, not just the “recommended shops.” Most insurance companies will provide you with a list of recommended body shops, but this does not mean you have to use them. After you select a repair shop, your claims rep will help you resolve your claim as quickly and as fairly as possible. Some insurance companies may ask for a couple of different quotes to compare. Others will work directly with the body shop of your choice. Be sure you do your research if you are choosing your repair shop. Get recommendations and ask around for referrals. Your insurance company will reach an agreed price with the auto body shop. You should not have to pay anything beyond your deductible. Your insurance company works behind the scenes for you. If the cost to repair your car is more than it is worth, your insurance company may decide to replace it. Your claims rep will explain the process depending on your policy and the age of your vehicle. 3. What Will I Drive? Most auto policies have rental reimbursement coverage so that you can rent a car. During your auto insurance claims process, ask your rep about your daily rate. All policies are different, so be sure you know how much your reimbursement will be because the overage will come out of your pocket. At JD Collision, we are happy to have a unique partnership with Enterprise Rent-A-Car for our customers in Bonnyville. 4. Do I Still Work with My Insurance if the Accident Was Not My Fault? Your insurance company will cover your injuries and repairs until a fault is determined. The process of initial payment is called indemnification. You will work with your insurance company even if you are not at fault. Your insurance company will pay for your repair damages and medical bills. After the claim is final, the insurance company will collect the money from the at-fault driver’s insurance. Your insurance adjuster will determine which driver is at fault. The insurance companies will then work together behind the scenes to handle payment to each other. You work primarily with your assigned claims adjuster. If you have no-fault insurance, your car insurance company will handle your claim entirely. 5. Will There Be an Investigation? 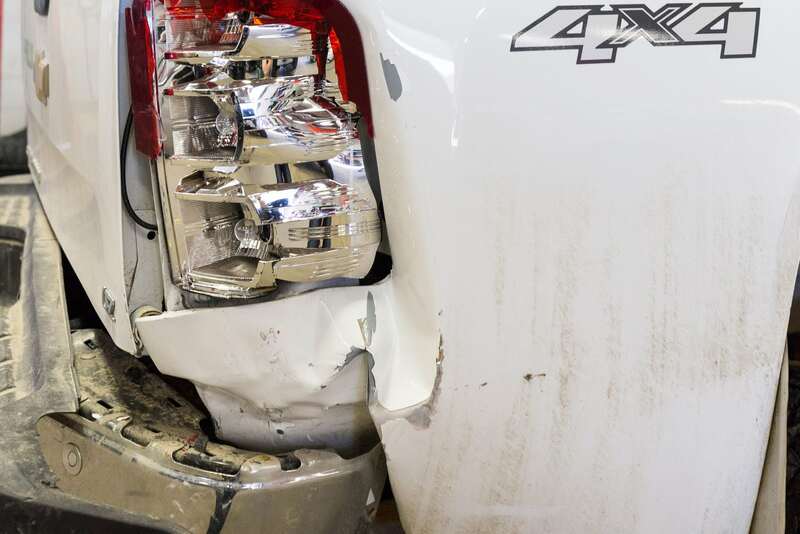 If multiple vehicles were involved, your claims rep would need to talk to all parties to determine liability, estimates, medical needs, and repair shop options. They will look at your claims history and will probably look you up online. Your car insurance company has a unit that investigates suspected fraud cases, the Special Investigations Unit (SIU). Be careful what you post on social media. An insurance company may look at anything you post to see if it adds up to what you told them. Each case is different, but your insurance company wants to know what happened. If there were any witnesses to the accident, be sure to get their names and phone numbers to give to your claims rep.
6. How are Medical Bills Handled? If you suffered any injuries in the accident, you would need to show your claims rep your medical bills. In addition, you will need to sign a form so the insurance company can get access to your medical history and records. You are entitled to receive reasonable value for your medical bills, lost wages, and a fair amount for any pain and suffering. There is no formula used to calculate this amount – each case is different. For severe injuries, you may want to contact a personal injury attorney to help you settle your case or file lawsuit to get a reasonable amount. In Alberta, there is a one-year limitation on automobile accidents unless counsel represents you. Your health insurance company will cover these injuries. Your insurance rep will ask if your injuries are from a previous incident or from the car accident. After treatment is over, the health insurance company is paid back by the at-fault driver’s insurance company – same as other subrogation. 7. How Can I Follow-Up on My Claim? The representative that helped with the auto insurance claims process is your contact with the insurance company. Agents know who to contact at the insurance company if claims seem to be taking a long time. Several insurance companies allow you to access your account online or through a mobile app to check the status of your claim at any time. You will need your policy number to set this up. Are You Looking for a Collision Repair Shop? If you are looking to fix your car, contact JD Collision for an estimate. Our shop can help you with the auto insurance claims process and will work with your insurance company to get you back on the road. And remember, you have the right to choose the auto body shop you want. At JD Collision, we back up our work with a lifetime warranty on the work we complete. We use top of the line quality products to keep you safe.